"Psych" is coming back for one holiday episode, and happy early Christmas! Fantastic news, Psych-Os, Psyche is returning to USA for a two-hour movie set to air in December. Santa Barbara police “psychic” consultant Shawn Spencer (James Roday) and his pharmaceutical sales rep best friend, Burton “Gus” Guster (Dulé Hill) are, once again, on the case in Psych: The Movie. The entire cast of the series is set to return for the film, including Maggie Lawson as Juliet O’Hara, Timothy Omundson as Carlton Lassiter, Corbin Bernsen as Henry Spencer, and Kirsten Nelson as Karen Vick. The script is being written by creator Steve Franks and Roday, with Franks directing the special. When we last saw our core group, Karen Vick had taken a job as Chief of Police in the San Francisco Bay area, and Juliet O’Hara followed her to become head detective. Shawn and Gus (obviously traveling as a duo) also moved to San Francisco, and Shawn proposed to Juliet. Meanwhile, Shawn’s dad Henry remained in Santa Barbara, as did Lassiter, who was promoted to chief of police. The movie takes place three years after the finale and it remains to be seen how the group reunites for their holiday mystery. While no other casting announcements have been made, we really hope Kurt Fuller returns as Woody the Coroner, Cary Elwes makes an appearance as Pierre Despereaux, Sage Brocklebank returns as the adorable, naive Buzz McNab, as do all our favorite recurring characters. In a press release, NBC Cable Entertainment, of which USA Network is a part, says it is thrilled to see the hit series return to the network. 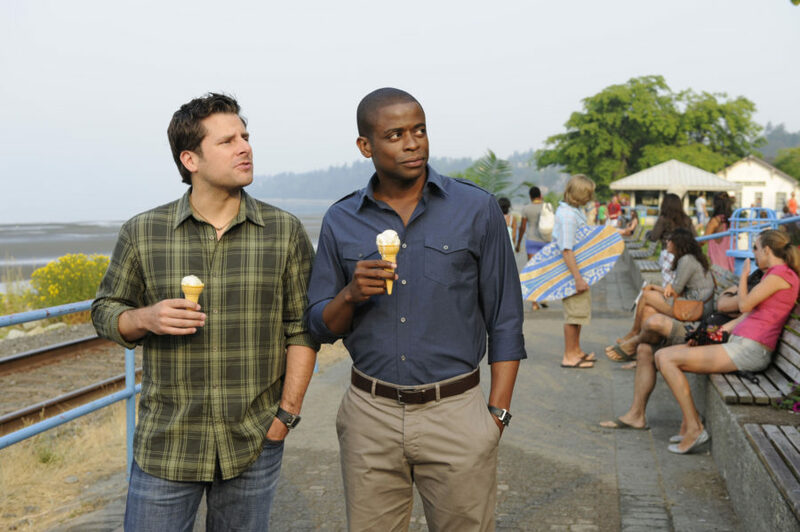 Psych remains one of the longest-running programs on the network. We can’t wait to see Psych: The Movie when it airs in December. Meanwhile, we’ll be rewatching the *entire* series starting right now.